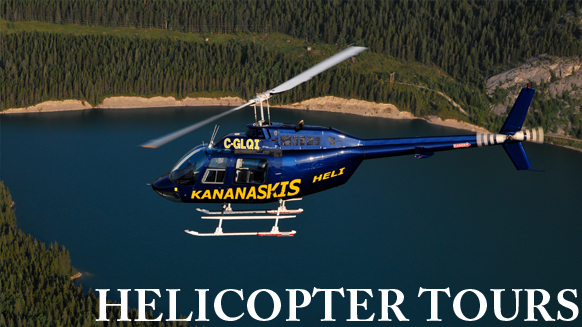 BANFF, ALBERTA, Canada – Get away from it all with our Heli-Fishing in Banff, Canada. Pack up your rod and camping gear and let us fly you to the finest fishing spots the Canadian Rockies has to offer. Spend the day, or stay overnight either on a solo adventure, or with a guide. With our unparalleled views and clear, jade mountain waters as a backdrop to your Banff vacation, you’ll be glad you came, even if you don’t wind up reeling in the big one. Indulge all of your senses to feast on more than just gorgeous mountain views with our Heli-BBQ tour in Banff, Canada. Dine on a 6 oz. Rib eye steak accompanied by a baked potato, corn-on-the-cob, asparagus and dessert. Line up for the Deluxe BBQ, served buffet style, or opt instead for table service and cloth table linens at the Executive BBQ. On hot summer days, wear comfortable clothes and sunglasses, bring your camera and spare film. A water bottle is essential as well, you need to be hydrated!